Dr. Krystal Worthington of the Witlin Center for Advanced Eye Care in East Brunswick, Toms River, and Morristown, New Jersey, received her undergraduate degree from the University of California San Diego, majoring in human biology with an area of focus in Spanish literature. She completed her optometry degree at the Pennsylvania College of Optometry, earning a clinical excellence citation from The Eye Institute. Dr. Worthington completed an Advanced Studies Certificate in Anterior Segment, receiving extensive training in the management of dry eye, ocular surface disease, and other corneal disorders. She was awarded clinical honors in all clinical externships and is excited to be back at the Witlin Center where she trained with Dr. Witlin as a fourth-year intern. With specialized training in the LipiView® and LipiFlow® systems, Dr. Worthington heads the Dry Eye Center at the Witlin Center for Advanced Eye Care, where she uses tear testing and analysis to design treatment protocols for each patient’s specific ocular surface condition. Suffering from dry eye herself, Dr. Worthington is especially passionate about helping patients find relief from their symptoms. 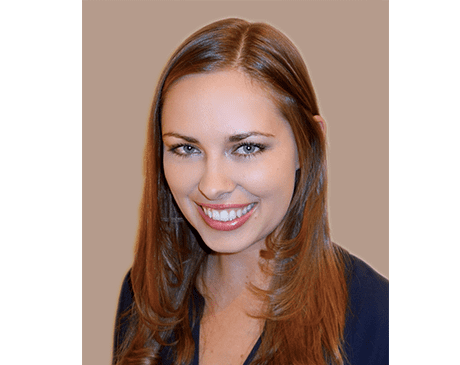 Dr. Worthington has worked exclusively in ophthalmology since completing optometry school, where she focused on postoperative management of LASIK, PRK, and cataract surgeries including toric and multifocal lenses, as well as the medical management of glaucoma. She’s a member of the American Optometric Association and the New Jersey Society of Optometric Physicians. When not in the office, Dr. Worthington enjoys cooking, traveling, and spending time at the beach.